20% Off! Fill out form below to schedule a service or get a free estimate! Whether you own a heat pump, gas furnace or electric furnace our experts know how to keep you efficient and safe. Keep that winter chill at bay with help from Max Air’s home heating services. 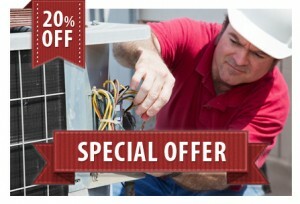 We are a Christian-based HVAC company with your best interest in mind. From new installations of systems to repairs and service agreements, we can help your home heating system run to its optimal performance. We have been servicing the entire Dallas – Fort Worth area for over 20 years. Our Max Air technicians and managers offer decades of hands-on full-time experience in the HVAC industry. We can help increase the air flow to your home, or provide service agreements so you are running reliably every season. Contact us today to find out more information. Customer satisfaction is 100% guaranteed. While based in Arlington, we service the entire DFW area, including Dallas, Fort Worth, Colleyville, Pantego, Mansfield, Keller, Hurst / Euless / Bedford, Southlake, Grapevine, Lewisville, etc. Contact Max Mechanical Air Conditioning & Heating today at 817-459-4100 for all of your Arlington, TX residential HVAC needs. To schedule service or get a free estimate on a new installation please fill out the form below and we’ll contact you ASAP!